Seduced by the Degeneration of 8 Bits & Movement. I have to say, this is by far my favorite animated GIF created to date. It all started about a month ago when I created a series of collages that incorporated a few contradictory items. 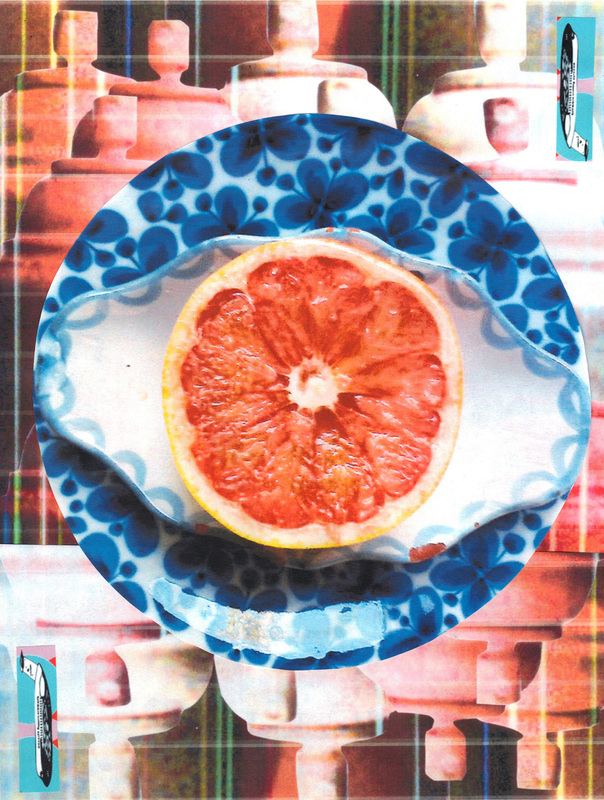 I placed an old outdated aerosol can with a photo of my grapefruit breakfast and an old 747. I have been playing with a theme titled “The Transportation of Communication” for quite a while now (more on this soon.) It continues to capture my interest, and in this context it was not different. Technology as a medium for me is simply seductive. I love creating drawings, paintings, screen prints and sculpture the traditional way by hand, but I also want it to be more. The use and application of technology easily transcends that for me. Of course, this is a trend, where many artists are doing more than just dabbling, its an ongoing integration and synthesis. Human nature I supposed. Even better, I find that utilizing technology makes it even more interesting and accessible to collaborate with other artists. Im working on a few collaborations at the moment, and each time I think of what I will do next, new ideas flood in based on what already exists. 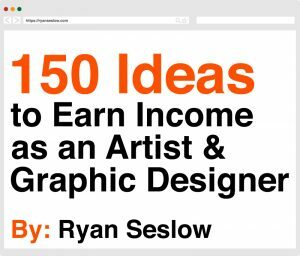 I’m in the game for the expressive, learning, and sharing aspects. There is room for spontaneous communicative longevity inside and out. This GIF above has evolved from the following steps, from manual to digital to stop motion animation. This is the original collage scanned at 300 dpi. The images of the cans are actually sculptures that I created (see those here) and then photographed. They are positives produced from a silicone rubber mold that I generated off of the actual can. I have been casting them in plaster, concrete, and resin. The cans are a part of a larger project that will soon materialize as a part of a museum based show in NY scheduled for 2015. 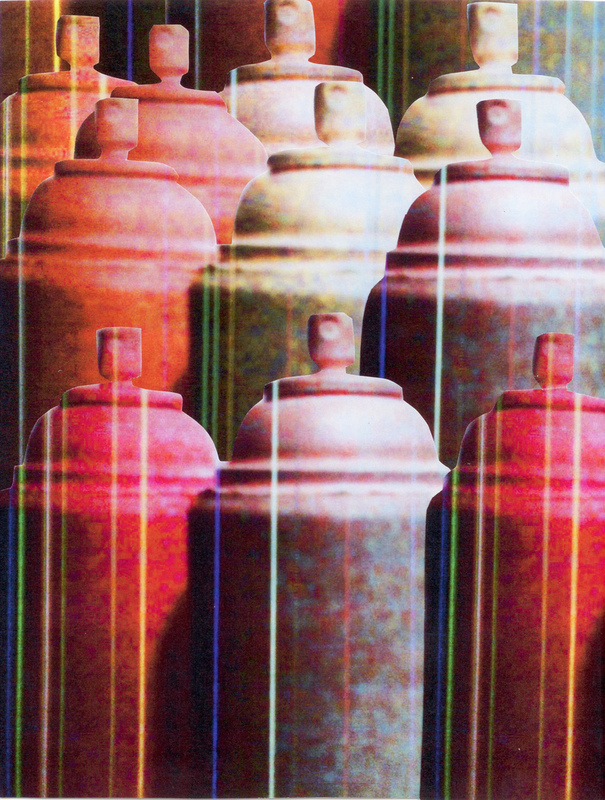 The first aerosol can collage image was then put together. 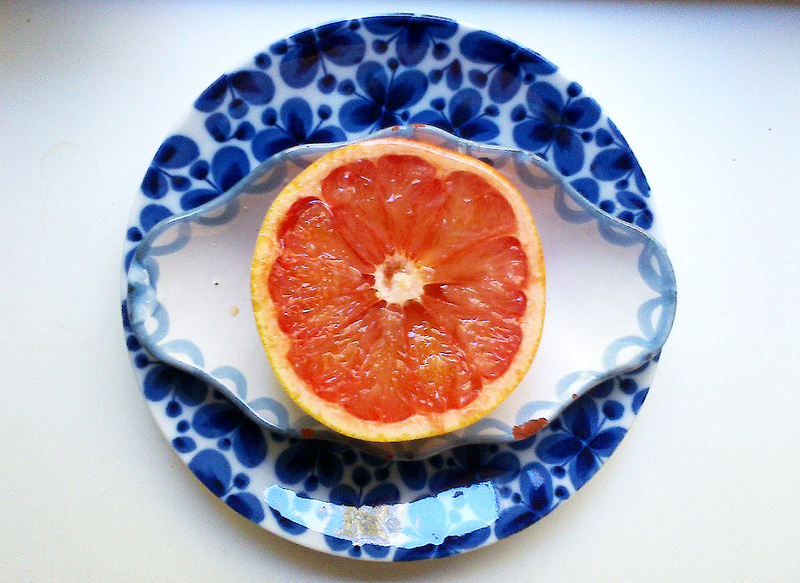 The grapefruit is pretty self explanetory, it was a colorful breakfast, I noticed that, and photographed it. 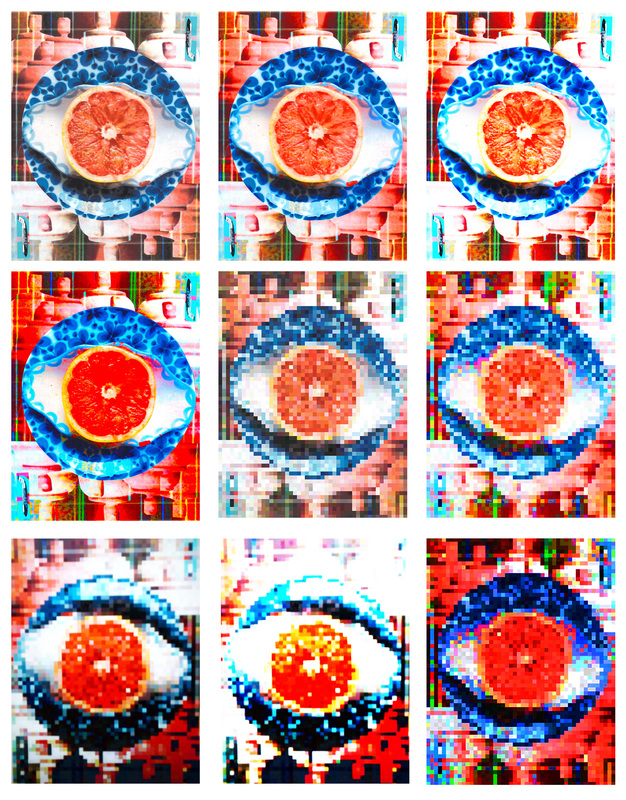 The grapefruit also represents nature, which is pretty much not complimentary to the “nature” of spray paint as it is extremely synthetic, and toxic, although as an art medium it has the potential to create some of the most beautiful works of art that I have experienced. Aesthetics plays a role of course, but you can decide that part for yourself. There is a concept involved in my communication process, and I will share it below. The images of the 747’s are taken from an old book on logistics. It was published in the 1940’s. I love vintage illustrations. I tweaked the images by redrawing them, scanning them, and then screen printing them. The screen prints are then cut up and pasted into the composition. This is the first degenerated 8 bit piece. You can create an 8-bit visual by reducing the image pixel resolution to 50 percent, as well as reducing the image size to a very small percentage. At that point I simply enlarged the image in viewing percentage just to photograph it off of the monitor. You can also save your images at this size as well. The rest of the images below were tweaked in photoshop, by simply manipulating the contrast, hues, and saturation levels. I then photographed the images individually directly off of the computer monitor. I love the degenerated effect it gives the image quality. I feel that I will also project these images larger in scale to further that along, but a bit later. The image below is the 9 piece arrangement that lead to the GIF sequence. Hand in hand we live in a world of both natural and synthetic materials. We could call it duality I suppose. Some of our experiences unfold naturally by grace, and some of them are hand crafted through interactions with things created by man. Some of these things may not be healthy, but they do create the meaningfully multi-sensory contrasts that hopefully open our eyes. I am interested in following this and recording those experiences. We see, experience, feel, digest, reflect, and apply. Consciously or unconsciously we participate.